Today I am gonna talk about Mushrooms, y’all. They are not only one of my favorite vegetables, but mushrooms have all kinds of vitamins that are great for this time of year. Vitamin D is a huge one and I know most of us in colder climates are short on that! Mushrooms to the rescue! It’s the middle of March. How are you doing on your health goals for this year? Back in January I listed some of my personal goals and one of them was getting to a more healthy weight. But I want the process to be sustainable, which means slower, smaller changes. I am running again and trying to be more consistent with my exercise. I am swapping veggies for useless snacks. We’ve been eating tons of kale chips and experimenting with different healthier options. It’s a slow process but we are trying. That has to mean something right? 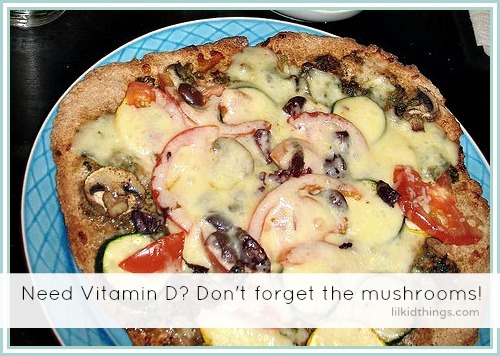 Mushrooms are fat-free and low calorie and jam-packed with nutrients. I love to enjoy mushrooms in pretty much any fashion. I eat them raw in a salad, sauteed with garlic or minced up in spaghetti sauce. I seriously love this little powerhouse veggie! Getting the boys to eat them is another story. My latest goal is to add mushrooms to ground beef before I cook it so it just becomes part of the meat. It’s a little sneaky, but kids’ tastes change so much that my main goal at this point is to be sure they are getting the nutrients they need! The Mushroom Council has some great ideas on their website and if you want something right now, check out my very favorite mushroom treat! This may very well be my favorite way to eat mushrooms. Onions? Check. Cheese? Check. Puff pastry? Check check! Ok, so you aren’t exactly going to see the pounds melting off if you eat these tartletts by the dozen, but they are so delicious! And even mushrooms need to get fancy sometimes, amiright? Then head over to Martha Stewart’s Everyday Food blog for the directions and enjoy! What is your family’s favorite way to add mushrooms to a meal? Disclosure: This post is sponsored by Global Influence and The Mushroom Council. My love for mushrooms is sponsored by my taste buds. All opinions shared are mine mine mine. Did you know that Mushrooms Are The New Meat? Yep!